Brooke Roberts joins us today to discuss the sharemarket – lowering barriers of entry to an historically restrictive market. Why should those with $50 not have the same opportunities as those with $500k. Brooke joins host Darcy Ungaro and the mysterious ‘Pumpkin’ as they ponder this question, as well as others. 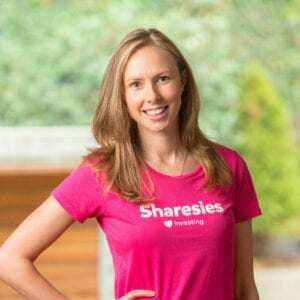 Brooke Roberts is a co-founder and CEO of Sharesies. Sharesies aims to give someone with $5 the same investment opportunities as someone with $500,000. Sharesies removes the high investment buy-in and financial jargon that surrounds the investment industry. Their philosophy is that people should be able to invest regular amounts that they can afford. Recently celebrating a year since Sharesies launch, they now have over 21,000 customers who have invested over $22m. Brooke has a Masters of Finance with Distinction and previously managed Kiwibank’s saving, transactional and investment portfolio and led Xero’s global ecosystem development. We’re keeping it real on NZ Everyday investor – we’re not journalists and this isn’t an interview – it’s a real discussion. If you like what we do, remember to subscribe to our show and share it with others – we’d really appreciate it! You know what else would be really siffy? Write a review on facebook too!